Dr Naina Christian, the Occupational Therapist of SNEH designed the Dark Room and a multipurpose C.P. Chair for the therapy of Special Need children and Mr Tularam made her dream true by making fantastic cabin and chair. With the help of these two new facility now the rate of recovery will become faster. Both the things were made under CSR program of Lanxess. 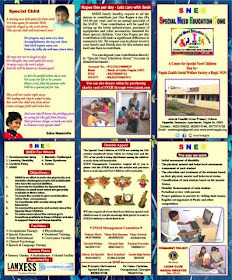 On 23rd August the Children of SNEH celebrated the Birth day of founder and C.E.O. CA Praveen Kumar Sharma as per his wish. Cack was cut and good wishes was given by the children to him. Sweets and chocolate were distributed to all the children. www.viewbestads.com (The One Point Group -Dubai) has taken SNEH under its CSR program since the inception of the SNEH. Last year Mr Sharma Donated Rs. 1.0 Lacs for operational expencess and he announced the same for this year also.SNEH Family is thankful to him for his whole hearted continuous support to SNEH. On the occasion of Independence day SNEH with the support of Lions Club Khachroud, conducted a serach camp for Special Need Children in Khachroud. 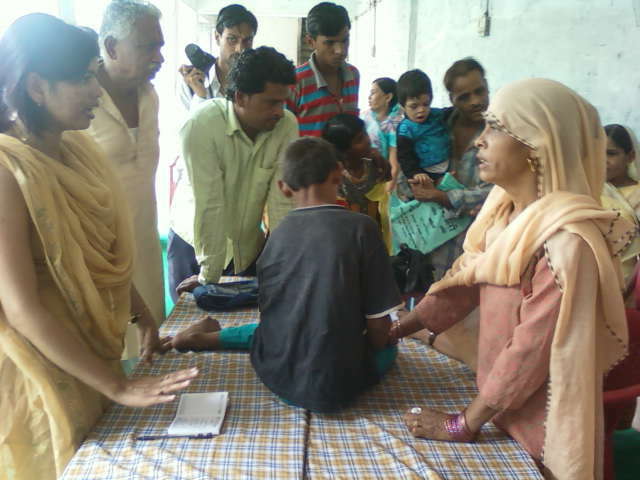 SNEh team comprises of Dr Naina, Mrs Priyanka, Mrs Maru, Mr Pawecha, Mr Vinay Raj Sharma & Lion Ajay Porwal provided their services in the camp. 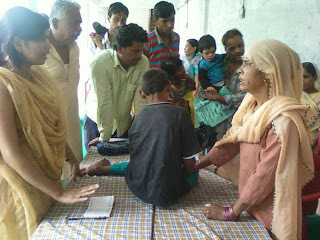 Total 15 children were assessed with CP, Autism , multiple disability, ADHD, etc and their parents were counsel to send them to SNEH. Lion Zone Chairperson Lion Hari Ram Kankar, Lions club Khachroud president Lion Mehta along with their team extended their whole hearted support to make the camp successful. 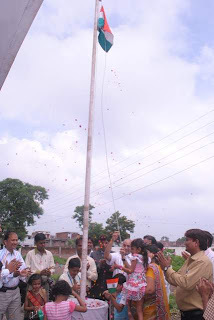 On 15th Aug 2010, SNEH celebrated 64th Independence day. The C.M.O. of Indu Bhai Parekh Memorial Hospita Dr Madan Sodani and Dr S.R. 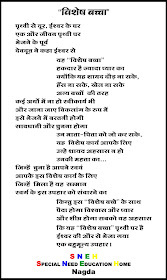 Chawla (Ex C.M.O. Govt Hospital Nagda) were the Guest of Honor. Flag Hosting was done by Baby Vishakha as requested by Dr Sodani.Both the guest visited the campus and very impressed with the work being carried away by the SNEH. Lions Club Nagda Greater President Lion Santosh Kolan along with his Lion members team were also present on the occasion. Sweets was distributed among the children. 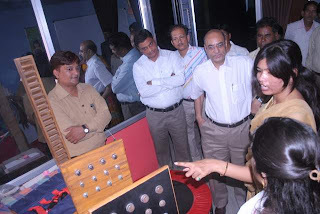 Dr Naina and Mrs Priyanka Shrivastawa presented momentous to the guest. Dr S.R. Chawal annouced to donate for any required equipment for SNEH. It will not be out of context to mention here that he has also donated Rs 5000.00 to SNEH on the same occasion.